Email marketing & automation made easy for small businesses, professional bloggers and authors. Sign up and start email marketing with free plan and all features included (signup forms and landing pages too), unlimited emails & 24/7 customer support. MailerLite makes all features easy to use - Check it out! MailerLite starts from $10.00 per month and has an active affiliate program. All MailerLite reviews are manually approved and verified. I switched from Mailchimp to Mailerlite almost a year ago and quickly became one of their biggest fans… until a recent update on their end has rendered the code for their embedded forms useless. I guess they still have the most affordable email service provider plans going for them, but now I have to find a new optin form builder. I did contact them about this and was told there is nothing they can do to make the embed code actually work. MailerLite is the most optimal newsletter distribution system for hecmo.com. It’s easy to operate and it’s constantly updated, effortlessly improving your productivity and performance. We choose to use MailerLite because of the great balance of features and the reasonable pricing. Also, we are very satisfied with the response from the support team – it seems that the company has the same values as us, and puts the customer above all else. I was asked if I can leave my honest opinion and review about Mailerlite: To be really honest, I need to tell you if you are spamming your subscribers with scam get-rich money making schemes, you will have hard times with mailer lite. But for 99% webmasters and business owners it is really great choice. You will get free trial, the prices are very affordable (specially if you pay for 12 months in advance), support is top notch. Their newsletter creator is simple to easy to use and their support is almost instant (yes, it is normal these days among all email newsletters firms). For the rates it is the best chooce you can make for your website. What really impresses me with MailerLite is how it seems to be one step ahead of the competition in this field, as their software is incredibly progressive works perfectly across all devices. Very nice email autoresponder, it got much better open rates that GetResponse or Aweber, most emails I sent through them are deliving to updates tab in gmail (or primary). So open rates are best (I guess it is not so overused like other newsletter companies. 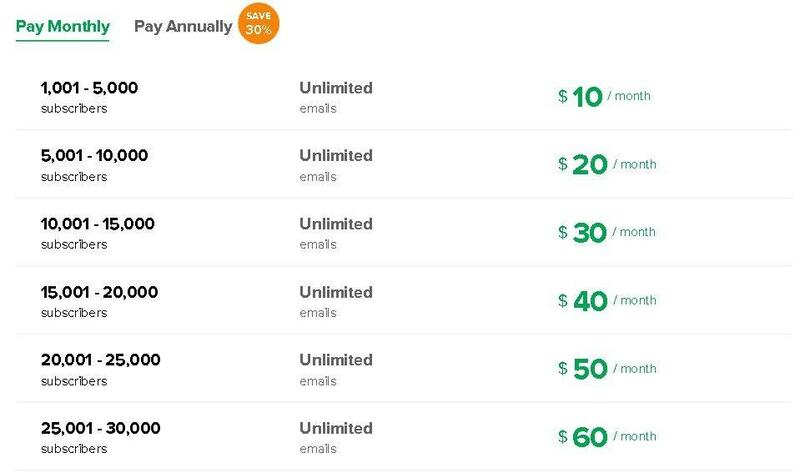 You also get free account for first 1000 email subscribers and the pricing is very cheap compare to huge autoresponders. You will be not disappointed. It is necessary to don’t attempt with no warrant. fortunately MailerLite has 30 days terrific return policy! Really great email autoresponder, my emails don’t end in promotions tab or something like that, very affordable pricing compare to huge email autoresponders companies like Aweber or GetResponse. I will give 5/5 for Mailerlite company! So far so good I would say. I´m perfectly satisfied with MailerLite and I´ve already suggest it to some of my refferals and co-workers. I love how easy they build it for you and how they keep going with the newest features. I migrated from MailChimp and I was afraid of some problems or that I will see some huge differences between each services (since the differences between the prices of each other are UNBELIEVABLE!!!) but I haven´t find anything yet. I have no experience with other providers I read about here in the comments but I ve heard avout it. I stick with MailerLite since the start of my fashion blog and Im perfectly cool with it. I can easly analyze the effect of what Im paying my money for (and lets admit its nothing hard to pay their services, they keep their price small and thats their biggest strength). I also enjoy mobile friendly and responsive emails, advanced RSS campaign or emoji support (which might seem as a detail but I can see an impact in emojis these days too..). I can only suggest you to give it a try with MailerLite. Well I jumped into MailerLite services when I started my second online affiliate business (it was amazon affiliate program) and I used email marketing even before. I have a friend in my town and he started to provide email marketing services, so I used his service and I wanted to pay the right price for it, eventho he wanted to provide me the best for free… I want to support him… Well I must say I was struggling alot with his product, it didnt bring me quite alot of sales or new customers, eventho I spent alot of time and money in it.. I was scared telling him I need to change provider si I ended up with the project.. I didnt like the product that much anyway so I started the new one – amazon affiliate page with clothing and didnt tell him about it until now..
My deepest thanks goes to MailerLite developement team because they are amazing! Support helped like thousands times because I was not that good with email marketing- I was more like new to it to be honest and am sure they had to keep really really really calm to not kill me through the phone sometimes :d I hope they are well paid, unless I need to find them and pay them couple hundreds, because their work and their excellent services btrought me thousands! I didnt even think about potential which email marketing still got, I read more like that its all dead after some recent google updates (not just in gmail – but overall) so i was afraid to be honest. 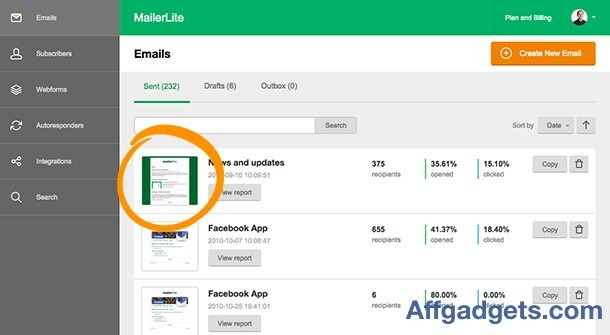 Now I know there is still plnety of potential and I must admit tha MailerLite can help you to use that potential to the top, at least it helped me, you should really consider it! Advanced softwares are always expensive. I think every mkarketer who is writing here must take the truth and stop crying that MailChimp or Aweber is overpriced. I agree that MailerLite services are ALMOST on same level with these mentioned above but you simply cant expect it going to bring you the same result for such a money. I respect MailerLite, trust me I know what am talking about because I used it alot in the past, but you cant stick with it forever. I would say that you cant stick with any tool in online business forever, because you have to test. MailerLite dont really fit my conditions but if you are looking for stable and honest provider, with responsive emails, API or Drag and drop editor (which is a must have these days) and much more useful stuff, MailerLite is just as right for you as MailChimps or Aweber is (PLUS for LOWER PRICE!). But if you want something like advanced automation or advanced API, you should pay the hard money for bigger email marketing provider. Also deliver ability shall be an issue, but I have to say that they can control the spam really well. Also I have read that MailerLite team is working on big upgrades, so lets hope they do, 7/1O right now. Simplicity seems to be the main point of MailerLite marketing service and all of their products stick with it I think. Ive tried 3 of them (I started on MailChimp and switched to MailerLite when I reached 15 000 subscribers) and stayed with them to the end (30 000 subscribers). I read many positive words about MailerLite and it gotta be amazing tho! Im not relly good in internet marketing but I read alot about e-mails and how it can boost your sales but I never try it :/ I see that most of comments here talk about price and how other providers are too expensive (my english is bad, sorry for that, but I think I got the point of comments here). Im was quite scared about that low price MailerLite have but after I caome to this site, I think I will got it for my start project)) I will keep you updated and thanks for all info. I think that the biggest mistake new marketers are doing is that they want to pour as much money as possible to something which seems to be great just for a great (and by great I mean huge) price. If you consider your requires, budget and long-termed plans of the project you want to scale up with an online marketing tool well, you will see that you need just a half (if not less) of what are these “great” services offering to you for a dramatic cash..
I’m not that skilled to write some long reviews, but I have had a great time using MailerLite. I got what I paid for and I bet you all will agree with me If I say that even this simple logic “I should get what I pay for” is not common at all these days around the web… It is sad but it is true but there still are some great alternatives to huge and overpriced email marketing apps like MailChimp or GetResponse – MailerLite is one of them, so it is worth of your time. My interest in spendin money for MailerLite email marketing tool came up with my friend’s purchase. We started our project by the same time and we were both hopin for an extra cash from e-mail sales (we both have been usin email marketing alot in the past and know some twists). He started this project with a classic choice of MailChimp email tool, which I have tried a couple times and it was OK (higher price but everything was fine). I see that most people in here love MailerLite for beginnings, little blogs or smaller businesses and I totally agree with you all, but I´ve been around online marketing for like 7 years now and my blog is a pretty big project already – still running it on MailerLite since there is no such a great tool for my business on the market (at least I dunno it). I used MailChimp since the first step and I changed for MailerLite after some time. I´m very satisfied with it and I also regret that I haven´t started with it – so you definitely should! Just amazing tool which you should get as soon as possible if you are running a blog or small business. These guys in MailerLite really know what they are doing and their results are stunning! Sometimes I have to laugh when I see “great” promises of companies which are definitely not true, but MailerLite? They truly stick with their words and that´s rare! I’ve been to this kind of business for like 3 years now, so I dont consider myself as a pro (at all) but I still know some things since I have studied alot about online marketing and stuff. If I have to be honest, when I saw the price of MailerLite for a very first time I thought its a scam. They offer really quite alot for a price that is far beyond Aweber, MailChimp or any other “top” product. Great email marketing program which gives exactly what it should and nothing else. I made a mistake starting my blog´s email marketing via Aweber, which was too expensive and I actually paid for more than I needed to use… When I decided to look around for another provider, I found some reviews for MailerLite. Yes it´s not that big as Aweber or MailChimp so you don´t see it everywhere everytime but when I checked the facts I was amazed! RSS campaigns, API, Drag-and-drop editor, mobile friendly emails and much more! They could´ve workout on autoresponder service, which is very handy feature that I miss in MailerLite but I´ve heard they will add it soon so let´s hope they really will asap.. Without a doubt, email marketing still is one of the most effective tools in online business. If you want to drain as much potential as possible, you need to pick the right email marketing provider, unless you are going to spend alot of money for something you don´t know or worse, don´t even need. I can suggest MailerLite to every starting marketer but everyone should do their own research.. Even though MailerLite is a fantastic email marketing provider, you need to search through their products and agenda to pick exactly what you need for the right amount of money (means also amount of time). If you do so, you can get on really well with MailerLite and pay just a few bucks for it. What I personally love the most about MailerLite is how simple it actually is. Don’t take me wrong – it’s very sophisticated software – but it’s also so easy to use! Let’s admit that MailerLite doesn’t rank that well in compariason with Robly, GetResponse or MailChimp, but if you look deeper – Mailer Lite is an awesome alternative to such a overated software as for example Mail Chimp is. When I was choosing my new email marketing provider, price played a huge role in my deciding. MailerLite seemed to give me exactly what am looking for (and the truth is that it wont give any more – am getting back to the last sentence of first paragraph) for VERY acceptable price – and that´s a magic for small businesses! The fact that MailerLite provides great features, for me, this software is going to be needed by any online marketer, to aide us in having more subscribers, and sooner or later will turn into sales. The subscriber management is one of the best indicators that I experienced, to ensure that my efforts are seen. It has helped me a lot in measuring more activities for my website. When it comes to email marketing the features that MailerLite gives, the features fits just right to my needs in my online business. Aside from the fact that that the software can be used very easily specially the drag and drop newsletter editor. I have been in the online business for the longest time, and surely this service made a very good performance in my marketing department. I was amazed at how the software is very easy to use. This software is for anyone who would want to make a mark in the online business. I have been in the industry for the longest time already, and one of the problems with other newsletter service is the intuitiveness of the editing software. MailerLite really delivered well when it comes to ease of use, because of the drag and drop feature. The scheme of paying monthly or annually made my decision in getting the MailerLite worth it. Since the software made its mark in my online business, from almost no subscribers to around 3000 in less than 4 months time, thank you so much, based on my calculations, return of income is soon to realized already. Every online marketer should have this software. Thanks for the outstanding service. The small business plan pricing just fits right for my need, perfectly sending emails to my almost 10,000 subscribers. I hope I could get to more than 50,000 in a years time with the help of the MailerLite. It has been a great journey with them, because it keeps on keeping up my standard, and it is also definitely very easy to use. Every online businessman should have this. The free 0-1000 subscriber made me jumpstart my online business and as it grows. MailerLite delivers great service for my email marketing efforts. I have been in the online business industry for almost 6 months now, and I have already accumulated almost 5000 subscribers, thanks to the amazing services that this software delivered, it was sure to be a great investment for my business. I have been in the online industry for a few years now, email marketing is one of the most important part in trying to have more subscribers and turn them into sales sooner or later. E mail marketing for me play a very important task, and I will not be taking any reasons when it comes to delivering the service I needed from the service providers. MailerLite have been delivering well when it comes to getting up to my standards. Thank you for that. The only problem that the other newsletter service providers give me is their cost. It just seemed like the more subscribers I have the more I have to spend, and return of income for me is getting slower because of the needed expenditures when it comes to my email marketing activities. MailerLite made a very good list of the costing so I can choose based on what I needed, with unlimited emails. I have been having a hard time when it comes to getting my emails answered when it comes to responses from my newsletters, I already have a few staff who are making the replies, I have been looking for that perfect platform which can do the auto responds in a scheduled manner, I am happy that the MailerLite platform can do auto responding, which makes our work easier, and the staff can now do responds to other complaints or information that are not under the auto respond list. I wanted a specific statistic regarding my newsletter results so I would know if my efforts are paying off. I have been in the online business for a year now, and wanted to bring my business to the next level. With MailerLite I can track everything, from the clicks to unsubscribes, spam complaints, bounces, link activities, reading environment and many more. This makes monitoring easier for me. I have been having problems and issues with my other newsletter services when it comes to getting organized. MailerLite made this very easy with their subscriber management platform which is excitingly very easy to use and navigate. It also gives me real time updates about the number of my new subscribers, and everything looked clean, precise and organized. It looked just right basing on my standards. I am relatively new in the online business and have been trying to test the waters for almost a month now. A friend of mine recommended MailerLite for my email marketing strategy. I would be thanking my friend forever, for your features are just downright very easy to use specially the drag and drop newsletter editor. The photo editing as well, has many features that will definitely make my newsletters look amazing. I have been in the online business for 10 years now, I have been to several newsletter services over the years, but this MailerLite system really made its mark because of the ease of use, and the intuitiveness that it gives. It can also be perfect for my staff who are new in the business as well, they can learn it very fast, and finish things faster. I have purchased several platforms for email marketing, and have been disappointed over and over again, MailerLite made a clear difference because of its very easy to use drag and drop function in the editor, it can save a lot of time and energy as well, and made editing my newsletters and emails easier than ever. Thank you so much for this wonderful software. I have been looking for that perfect platform for my new website, and the ways on how to actually promote it without all the headaches that come with it. I have been going back and forth to your website and finally decided to give MailerLite try. I was amazed at how intuitive the editor is, I am happy i finally decided and dit it earlier. No MailerLite questions were found. Please submit your first question. MailerLite reviews that we gathered over the internet. You get full function up to 1000 unique subscribers, which includes building workflows + segmentation of lists. The customer assistance database is probably 1 of the extra flexible ever before seen, from the one-field database exactly how quick and easy to the most complete. One of the key factor we liked most about this service provider is usually their pricing, they are with no a doubt greatly cheaper than their competitors. Easy drag plus drop function for putting using each other a campaign. I love the different alternatives it gives you for building your newsletter. The minimalistic interface is certainly awesome to promptly start. practical automations may be done using just a few clicks. Way a lot more effective than mailchimp as well as complimentary up to 1000 subscribers! I prefer only how exceedingly easy quick it is normally to adjustment the colors of the different sections of the newsletter and the links. This system is normally designed to be totally drag and drop. Customer service. They provide it on no-cost account, which mine is until i get subscribers. Mailchimp offered no live customer service on the no-cost plan. They obtained an extensive support library, but that only gets you so far. It seems to work wonderful for advertising team. We undoubtedly love the look of emails. I really like merely precisely how exceedingly easy customer friendly it is. I switched from mailchimp and won not go back! You will do autoresponders for free. They keep adding fresh features that are usually free. really reliable clientele assistance support. Their free plan contains exactly the same functions as paid plan, so you will get full product for free. Only limit is 1000 subscribers. So if you are starting your own online adventure, this is perfect tool for you. Their affordable pricing is reason why thousands of business are choosing MailerLite instead of Aweber or GetResponse. Perfect for any kind of businesses, they have no restrictions. Let us know, if MailerLite changed pricing! 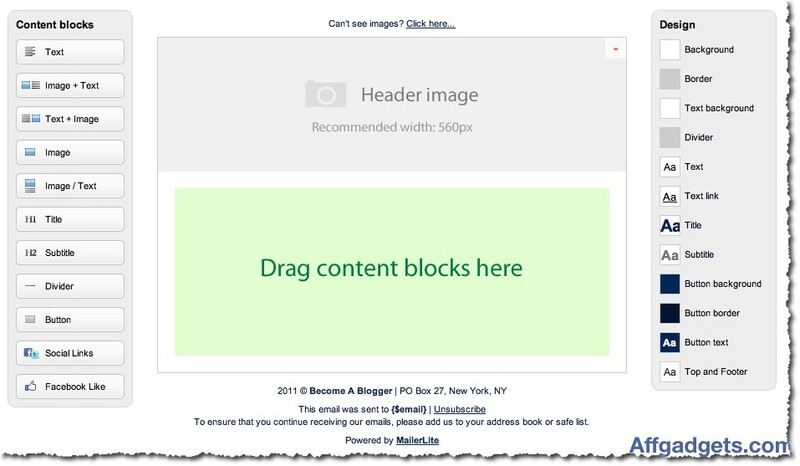 Forget tools like Leadpages, you will get free access to their landing pages builder where you can create stunning squeeze pages in a few minutes. Get statistics of your email deliverability, open rates and much more with their report system. 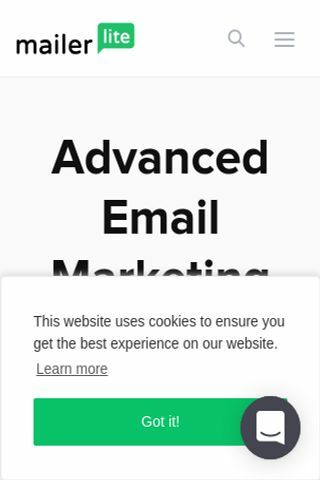 Except landing pages, you will also recieve access to their marketing tools like Popups, exit intent, embeddable forms and much more! Choose from their prepared templates or create your own with their rich text editor. MailerLite Agreement MailerLite offers free plan with limit of 1000 email subscribers. partner program Start promoting MailerLite and make 30% of every sale - other details in partner area. Level of popularity of a product is rising A great deal of individuals considers MailerLite from the email autoresponders category. It is without a doubt a very good choice. 24/7/365 Support Contact MailerLite help staff with email. The needs of the online market is starting to become demanding as time passes by. In order for your business to have a good position in the online market, you have to make sure that you are going to find the most reliable marketing process that you will put your focus on, just like the process of e-mail marketing. With the help of e-mail marketing, it would be a lot easier for you to find clients and let them know about the products and services that you are providing. However, it would be a little hard to get e-mails and send newsletters to each of them and that is one of the best reasons why it would be convenient for you to hire e-mail marketing companies like MailerLite. MailerLite is one of the most reliable and trusted e-mail marketing companies in the internet that offers a variety of service that would be able to help you in easily getting a full list of possible customers and send your newsletters to them conveniently. MailerLite is being used by many marketers out there with the hope to easily expand their business in the internet and get more clients accordingly. They are the ones that would be responsible in setting and generating e-mail addresses of all possible clients for your business and eventually send the newsletter of your business. But, that is not just the end of it, there are more things for you to know and discover about it. If there is one thing that you would love about MailerLite, it would be the support that they are offering to their customers. The support they have is available 24/7 and you can send an e-mail to their website anytime you need to. There would be a form where you will fill out your information and you can just wait for a few seconds in order to get the possible response from their customer service. They also have images of their customer service representative so that youll know who you are talking to and make you feel more comfortable. There would surely be a number of benefits that you would be able to get from MailerLite. That is one of the main reasons why many people are using it. Almost everyone cant take their eyes off of the different features of the company because everything is something that would surely fit the needs of their business. One of the features offered by MailerLite is that you can drag and drop your newsletter in their system and if there are some photos needed, you can also crop, resize and edit it on the spot. That would be really convenient because you dont need to look for more software that you can use for that and you can have the chance to have more free time and save a lot of it in doing more workloads. Another is that, you can also have the chance to manage the different subscribers that you have with MailerLite which could be really convenient in order for you to track their responses and build a better connection with them. Lastly, you can also track down the results of your newsletter and know how effective it could be. On the other hand, when it comes to the drawbacks of MailerLite, there hasnt been that much for you to know. Almost all people who have made use of the services they are offering were satisfied on what they got. But, there are some things that would be able to help them improve what they currently offer. One, they should consider getting autoresponder for mails. This is really ideal for most of the businesses for them to avoid having bulk list of emails to answer every now and then; sadly, it is not yet available with MailerLite. Also, there would be no available simple text to use on the emails you are going to send to your clients. It would surely be effective if the mails that you will have are simple and attractive, but with MailerLite, most of the text used are fancy and is not recommended for those people who would focus more in the formality of their business, rather than in the look of the e-mails that they are sending to their clients. In the end, whatever is more convenient for you, make sure to Check first if the features they offer are needed by your business. If you are looking for a company that would help you in expanding your business to a whole new level, MailerLite could be one of the best things you have to consider. There is no need for you to waste your time hoping for you to have more customers because with the help of the services offered by MailerLite, it would be a lot easier for you to reach them, stay connected and let them purchase the products that you are offering. The process could be really simple and you will have the benefits that you want from it in a short period of time. MailerLite offers a variety of services that would surely fit your preferences and needs. You can easily upload your files by dragging it out from a specific area provided and let you edit the content right on the spot. If you have images and you would like to crop or resize it, you can also do that with the use of MailerLite. That would be convenient as you dont need to download or look for other software to use for those things. However, MailerLite does not offer autoresponder mails and you may need to reply to each mail sent by the client to let them know that you have received the mail that they have sent to you. Make sure to know first the different features offered by MailerLite and visit their site today for better information and learn if this is really what you need. Promote one of the most popular email autoresponder that is available right now. With their free plan and affordable pricing, they will get even more popular in the future, so join the train today! They are offering 30% commissions on every sale you will recommend to them..
Trial run First 1000 subscribers free. Do you want to build with MailerLite? 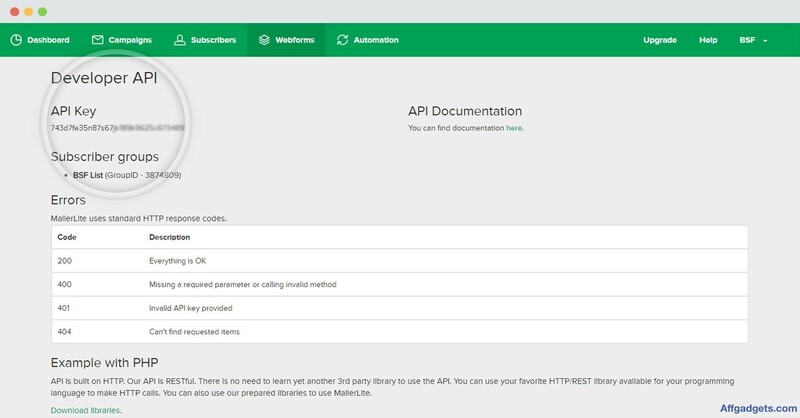 Visit MailerLite developer platform for more information. Do you want help with MailerLite? Any complication with MailerLite review? More Email Autoresponders Looking for alternative to MailerLite ?